Posted on Thursday, May 24th, 2012 at 9:58 am. This is the best fight no one is going crazy about. Lucien Bute, the best super middleweight not named Andre Ward, going over to England to take on Carl Froch, the last man to lose to Andre Ward. Never mind that Ward is not fighting Bute, which we all wanted to see. Carl Froch is never in a bad fight and Bute at the elite level is a mystery. 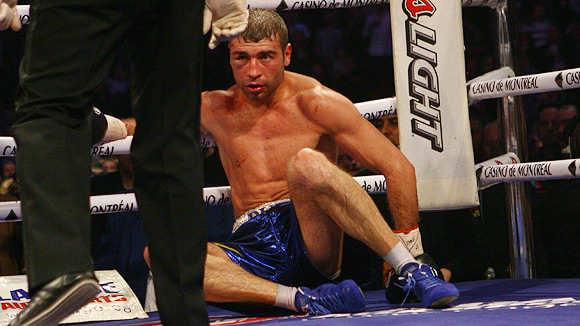 Lucien Bute exhausted and hurt late against Andrade in their first fight. and since that time, Bute has taken on easy fight after easy fight. 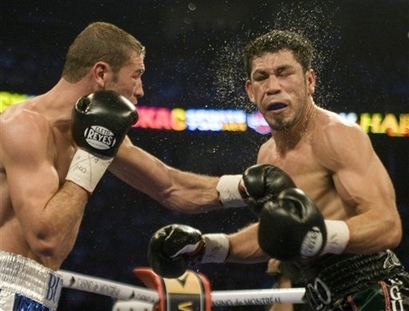 Then came the rematch with Andrade and Bute made short work of him. Yet finally at age 32, with a record of 30-0 with 24 knockouts, Bute is finally taking on an elite 168 pounder in Froch. Are his body punches that devastating? Is the speed that great? How does he take it to the head and body from a top man? Froch will show us. The Man from Nottingham, where the fight will take place on Saturday on EPIX, knows how to flat out fight. Unfortunately, he was flat on fight night against Ward. So now, he has something to prove. If not to fight fans, to her. Toughness, a hard jab and a solid beard. That is what Froch brings to the party. Also, he has experience having faced top fighters the world over. This is redemption for Froch and legitimacy for Bute. Who will win out? Who gets all the marbles? What do you think, fight fans? WILL WE SEE FROCH IN SEPTEMBER? Ward vs. Abraham: Who do you got? Andre Ward vs. Chad Dawson: Who wins and how? Broner vs. Burns? Who wins? Wright-Quillin: Who Wins and How?